We pride ourselves in providing Green alternatives to trash cans. 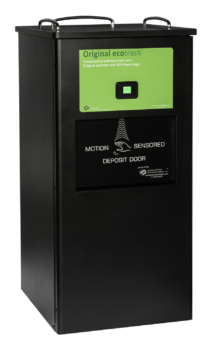 We don’t just sell compactors, we offer a service package that provides custom trash bags, scheduled maintenance, and 24/7 technical support. 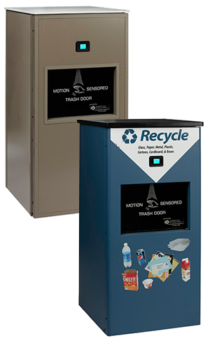 Restaurant, Mall or Food Court operators have better things to do than worry about the trash, and providing a Green alternative makes customers feel good about helping the environment. Universal color that works in most any setting. Available with or without tray rails. Premium wood grain on metal for durability and scratch resistance. Available with or without tray rails. Match your décor exactly with custom solid colors and custom graphics of your choice, or your specified materials. Available with our without tray rails. 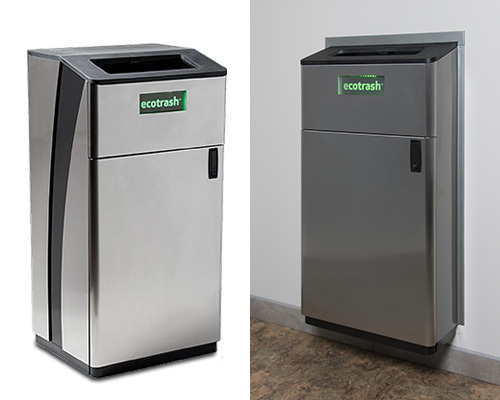 Original ecotrash compactor with Recycle Conversion kit. Paper Towels on your Restroom Floor? 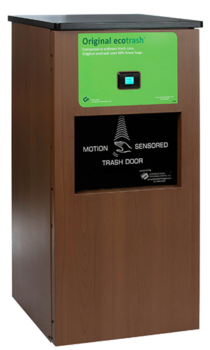 PTC can handle 10-20 X the paper towels of regular trash cans. A perceived unkempt restroom will cost you customers. A solid light indicates the compactor is up and running. A blinking light indicates the PTC is 80% full. Light is off to indicate the trash is full. 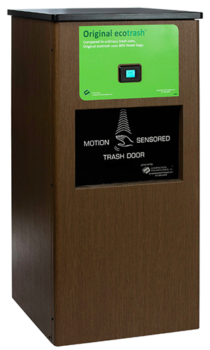 When used inside ecotrash PTC, ZeroWaste Bins enable recycling or composting of paper towels to help achieve your Sustainability goals! The best system to capture and store a clean stream of paper towels. 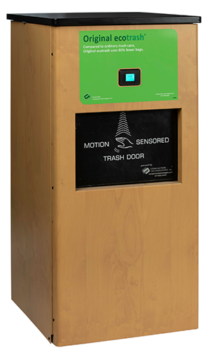 Each ZeroWaste Bin holds 1,100 paper towel deposits and weights 7-10 lbs. 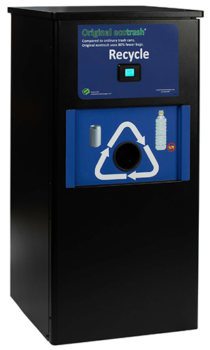 100% recyclable or compostable, ZeroWaste Bins replace plastic bags to collect and hold a dense package of paper towels. When full, simply fold shut the ZeroWaste Bin and recycle or compost the entire package! 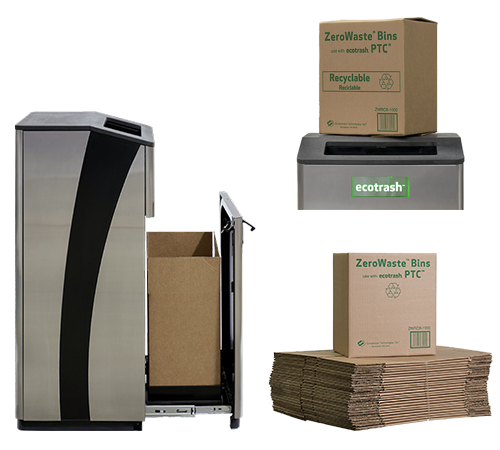 Sized for stacking on standard pallets, ZeroWaste Bins can be stacked 120 per pallet, yielding 1,000 lbs + of pure paper towels and fiber per pallet. Creates a pure, clean feedstock for paper manufacturing. Imagine the impact of shifting used paper towels back to new paper products instead of ending up inside a landfill?